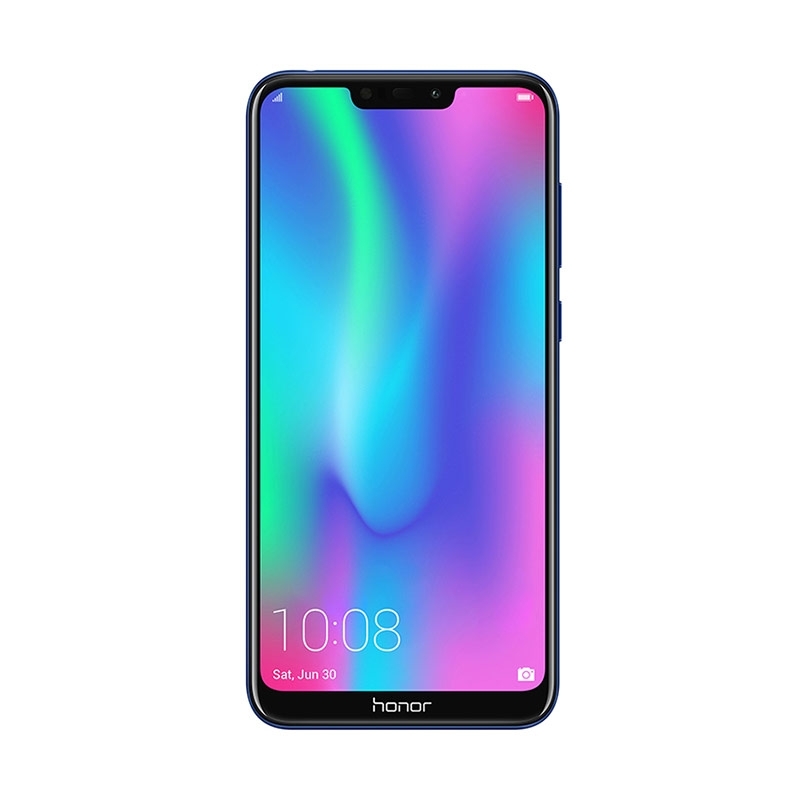 Honor India launched its latest budget segment device Honor 8C in India. 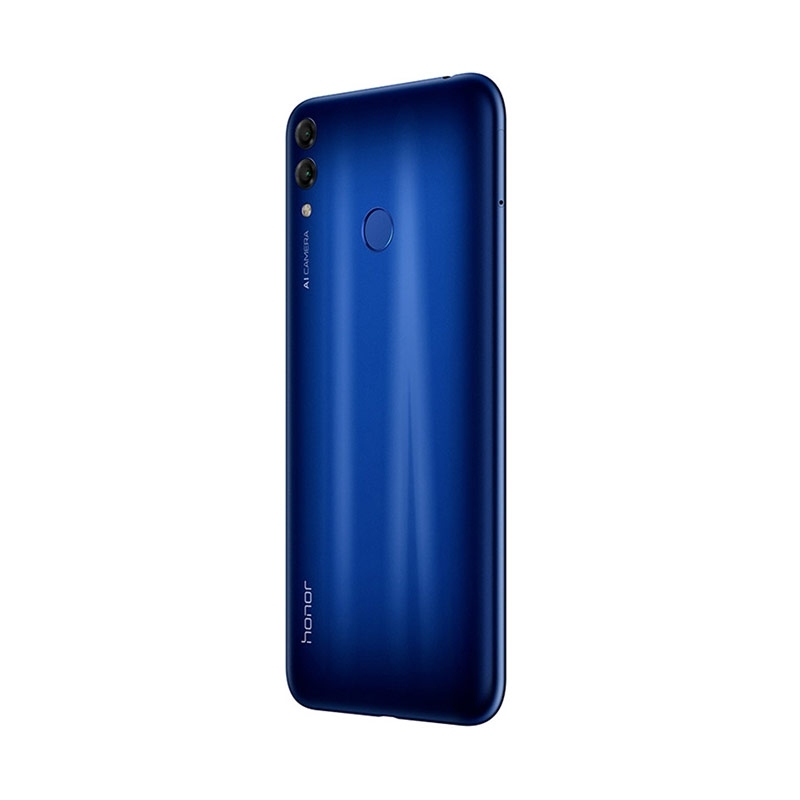 Honor 8C comes in two colors Black and Blue. Storage wise also it has two different variants 4GB RAM with 32GB and 4GB RAM with 64GB onboard storage. Honor 8C is comes with a 6.25inches 19:9 FullView IPS with top notch Display. It comes with 269PPI pixel density and 1520 x 720 resolution with 16.7million colors. With slim and sleek body it looks premium. Honor 8C power packed with Octacore Snapdragon 632 new Processor from Qualcomm. 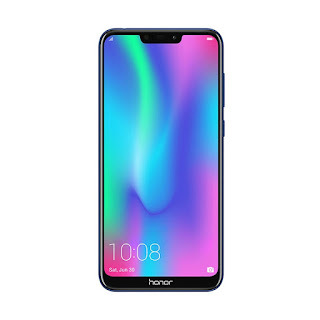 It is launched in two different variant 4GB/ 32GB and 4GB/ 64GB.It comes with Dual Nano Sim Slots and a Dedicated MicroSD Slot that supports upto 256GB expandability. 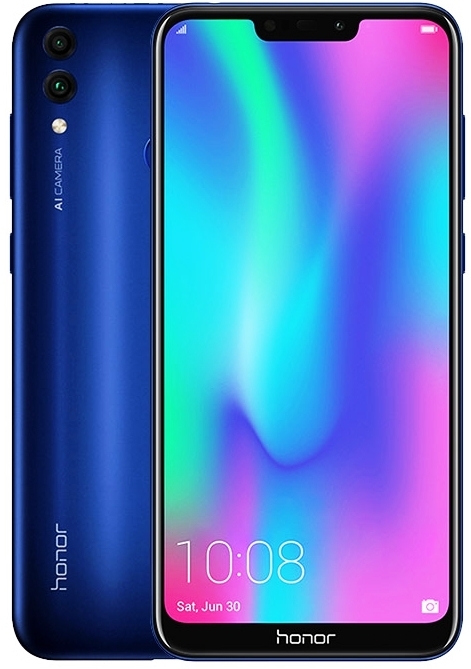 Honor 8C equips 13MP + 2MP PDAF Dual AI Camera Lense on back and a 8MP FF Selfie Camera on front. Both Cameras has LED Flash sport to capture clear and sharp images. It’s Camera can recognizes 22 scene modes. For Software support it comes with EMUI v8.2 based Android v8.1 Operating System. And a new feature included in Honor 8C is you can hide notch display to simple if you don’t like it. Face Unlock feature is also improved in Honor 8C as it works fine even in the low-light conditions with the new LCD Light Compensation feature. For Gaming lovers it packs a new “Do Not Disturb” feature that stops notifications and alerts while playing games. Similarly, this features may be used while you are watching movies or videos on your Honor 8C device. It’s the first Device that features the Cat’s Eye Design. 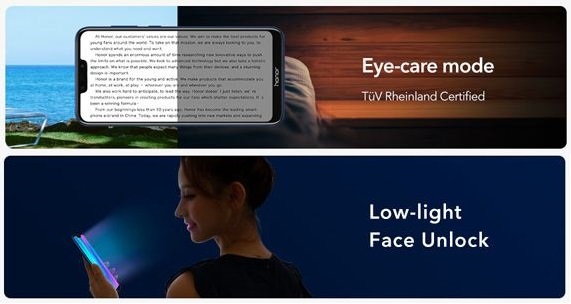 This handset also has an Eye Care Mode that reduces blue light radiation for eyes protection. This handset supports 2G, 3G and 4G VoLTE TD LTE – FDD LTE – WCDMA – GSM Network Bands. Other connectivity features includes Bluetooth 4.2 WiFi, WiFi Hotspot, USB-2.0, GPS, AGPS, GLONASS, 3.5mm Audio Jack and a micro USB charging port in it. 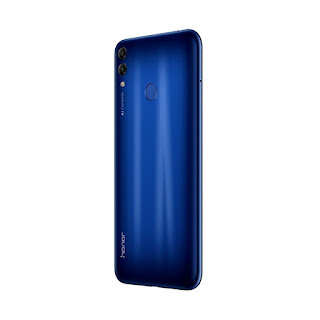 Honor 8C comes with WiFi Bridge function that can be bridged between 4 devices at a time and its Smart Dual Bluetooth feature enables it to pair 2 devices at the same time. It includes Sensors like Ambient Light Sensor, Compass Sensor, Fingerprint Sensor, Gravity Sensor, Proximity Sensor. It packs a big 4000mAh powerful Battery in it for long battery life. This handset has in two Color variants one is Blue and second is Black. Its an Amazon exclusive device, will be available on amazon.in and sale starts from 10th December, 2018. It also packs some launch offers for its sale on amazon.in. It is launched with benefits worth upto Rs.4,450 and additional 100GB Jio 4G Data with terns & conditions.